PLEASE NOTE: This event sells out early, so please book your tickets as soon as possible. Because we sell out, if you reserve a ticket you will be obligated to pay for it even if you do not attend. Thank you for your understanding. This is our main fundraiser to help all Democratic candidates in Cheshire County and I urge everyone to attend. It is always a great time and it gives you a chance to talk to our federal delegation, our Executive Councilor, state legislators and others; and most importantly, it gives you the opportunity to listen to a dedicated public servant and an outstanding presidential candidate. 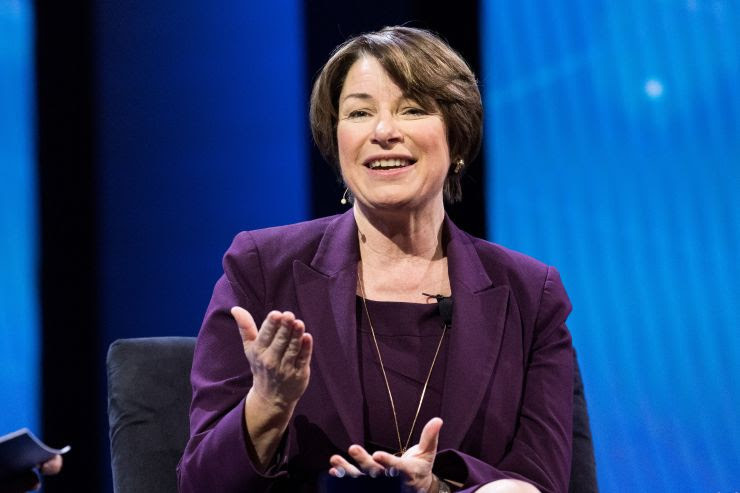 We are excited and honored to welcome Senator Klobuchar as our keynote speaker. I ask that any discussion that follows honor our party’s commitment to civility. We are hoping to have other events with participation by other Democratic presidential candidates in the coming months.